The 4th of July is upon us! How can you help your pet remain safe and calm during the festive (if noisy) holiday activities? 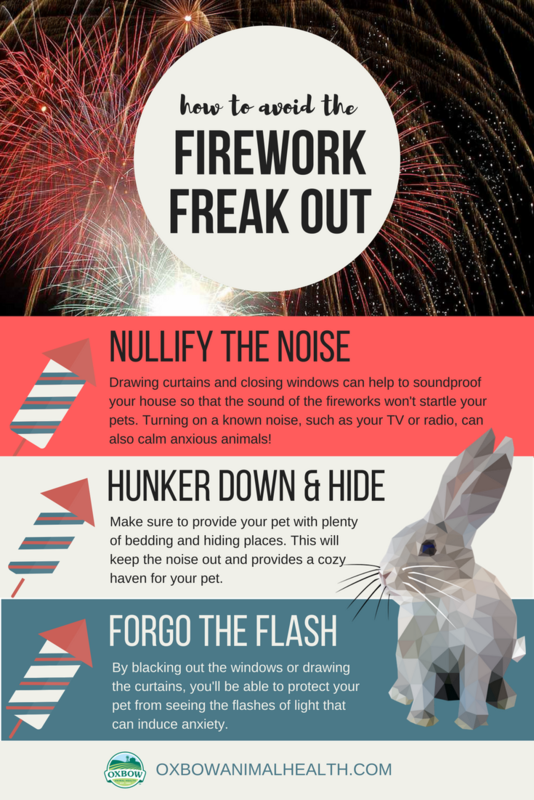 Drawing curtains and closing windows can help to soundproof your house so that the sound of the fireworks won't startle your pets. Turning on a known noise, such as your TV or radio, can also calm anxious animals! Make sure to provide your pet with plenty of bedding and hiding places. this will keep the noise out and provides a cozy haven for your pet. By blacking out the windows or drawing the curtains, you'll be able to protect your pet from seeing the flashes of light that can induce anxiety.